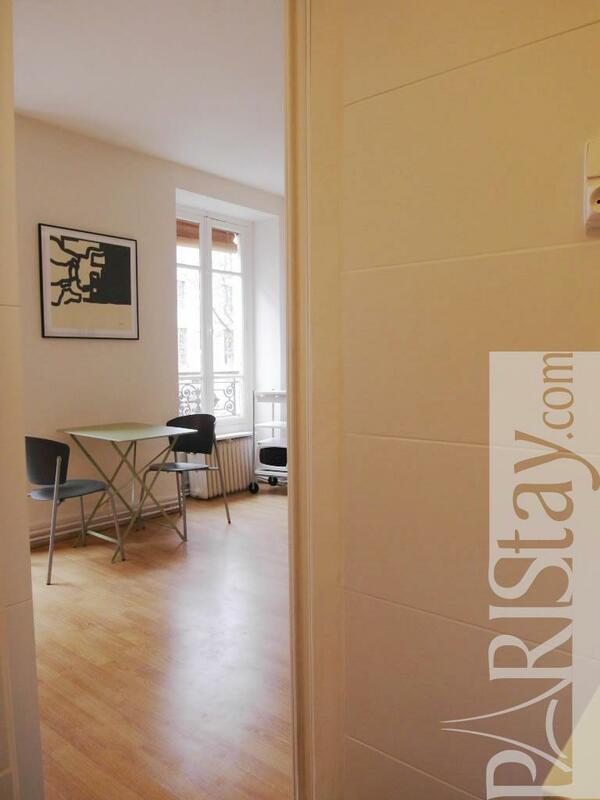 Located in the northern part of the residential 15 th arrondissement, this furnished studio apartment has been renovated in 2012. 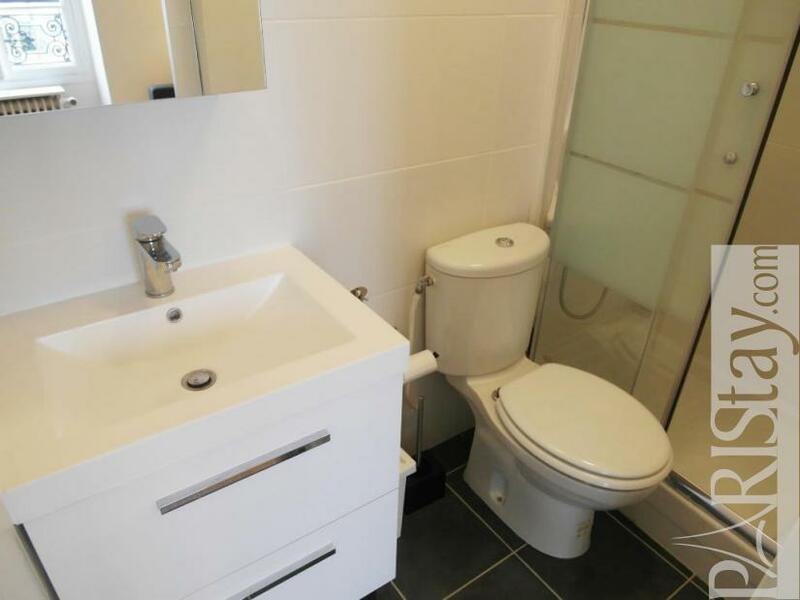 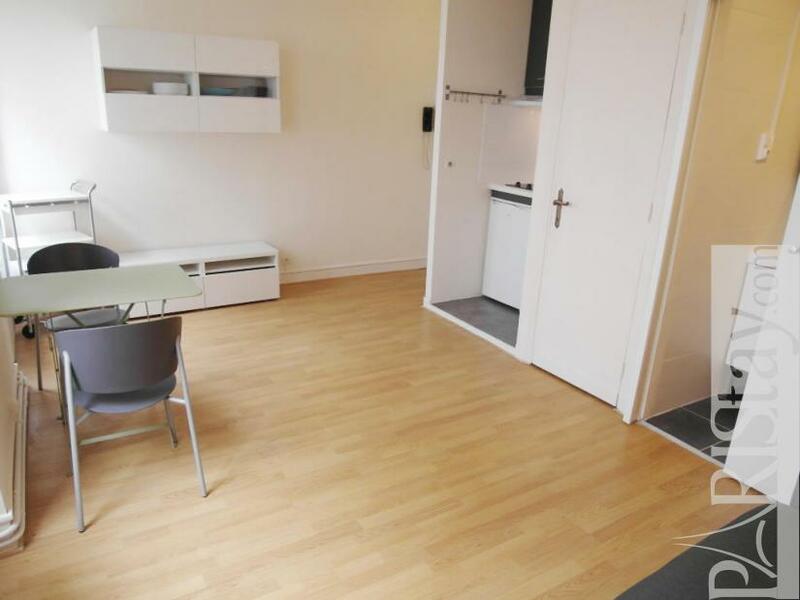 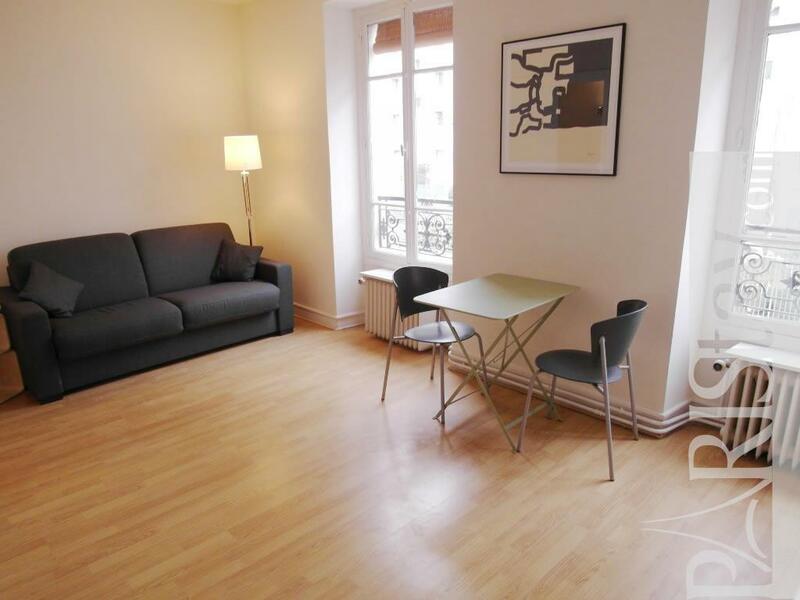 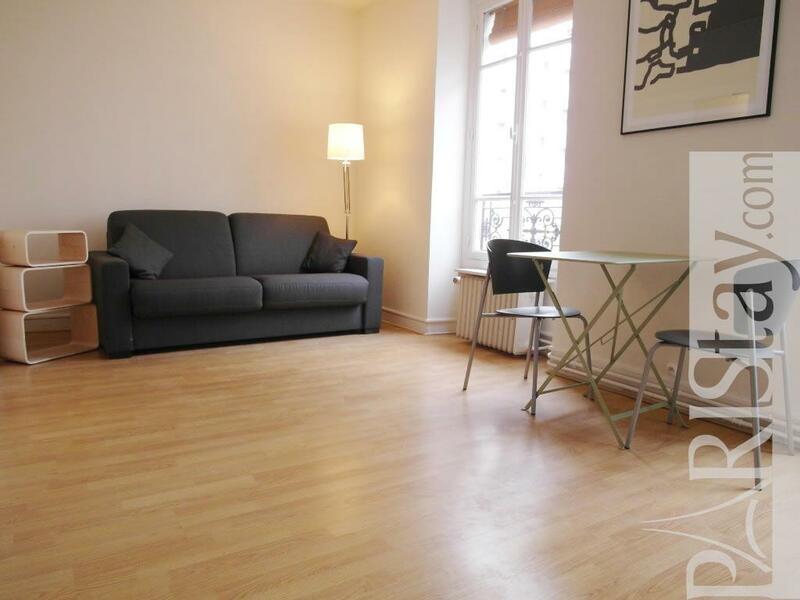 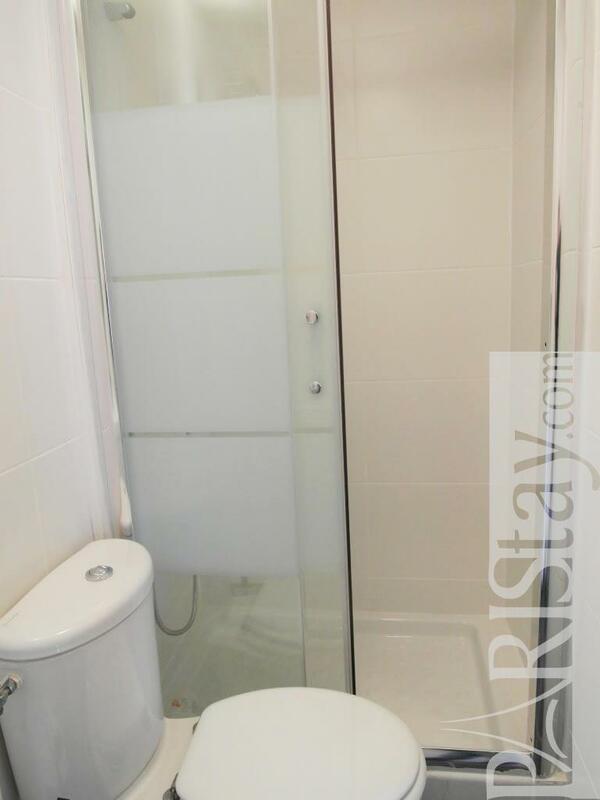 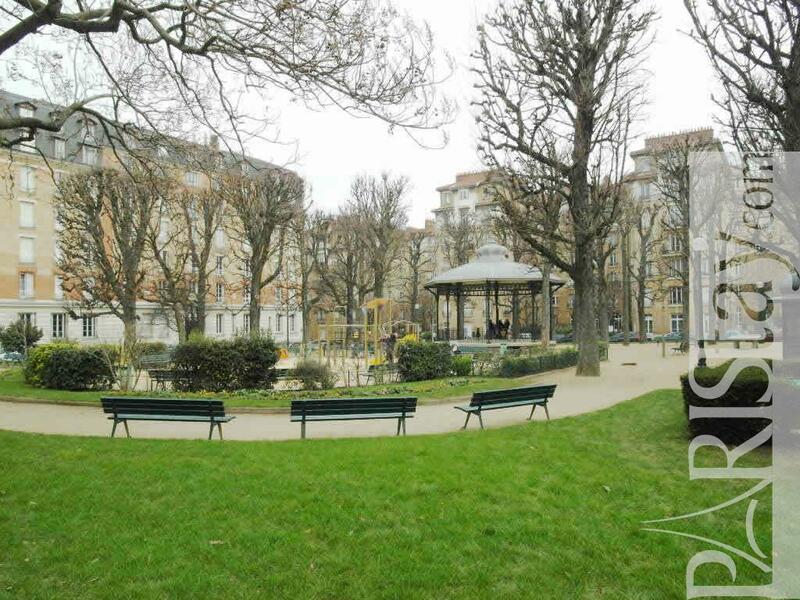 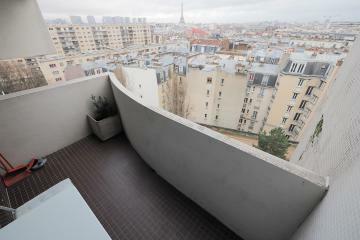 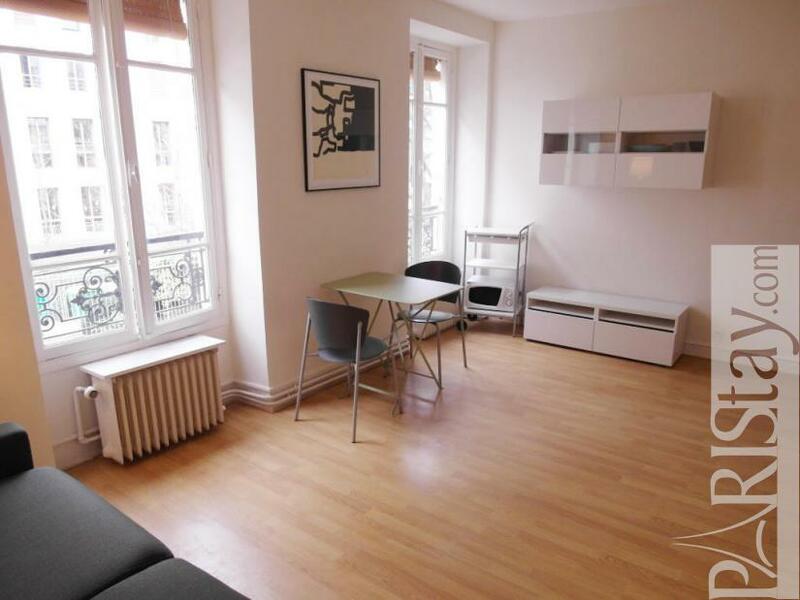 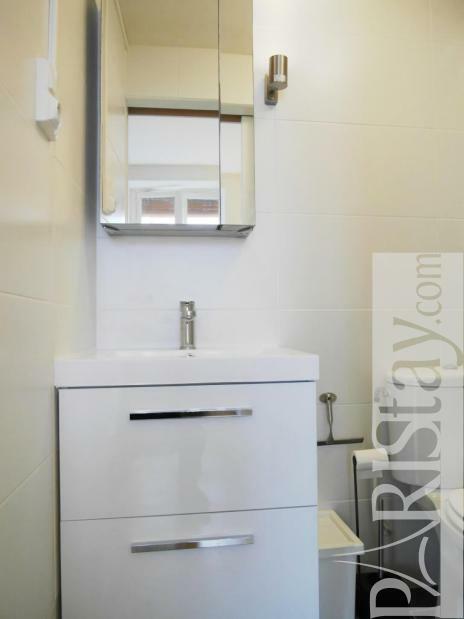 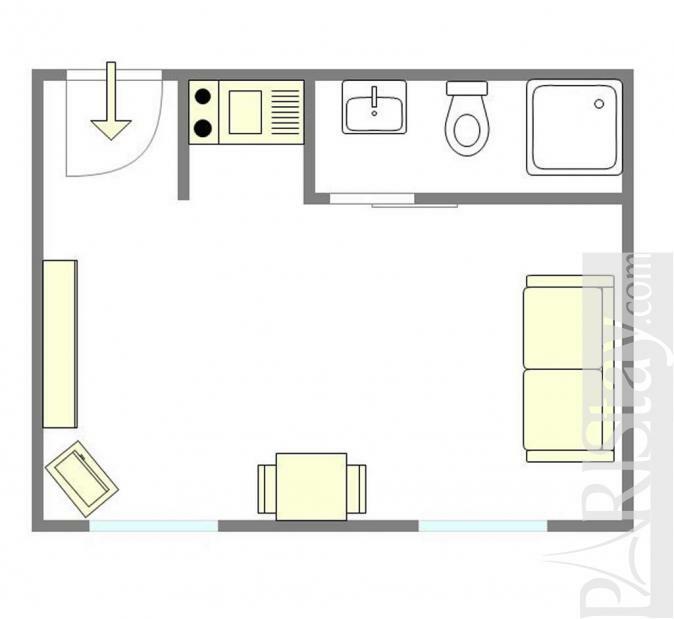 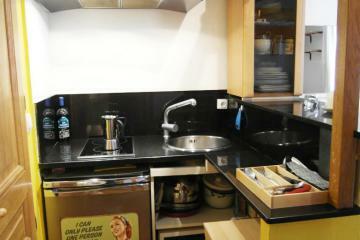 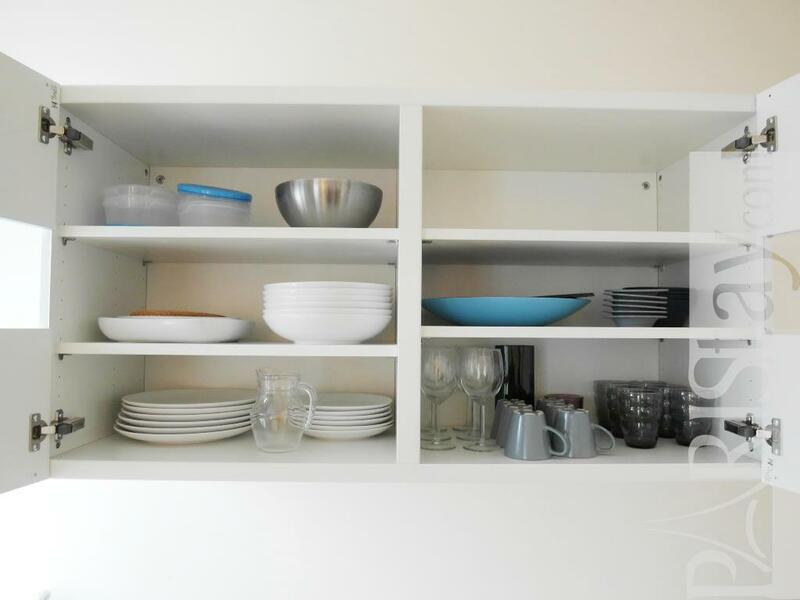 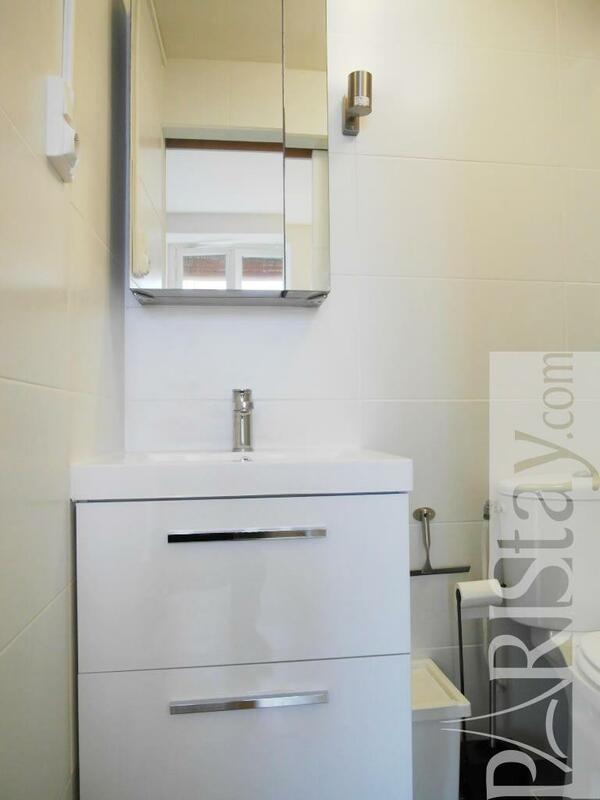 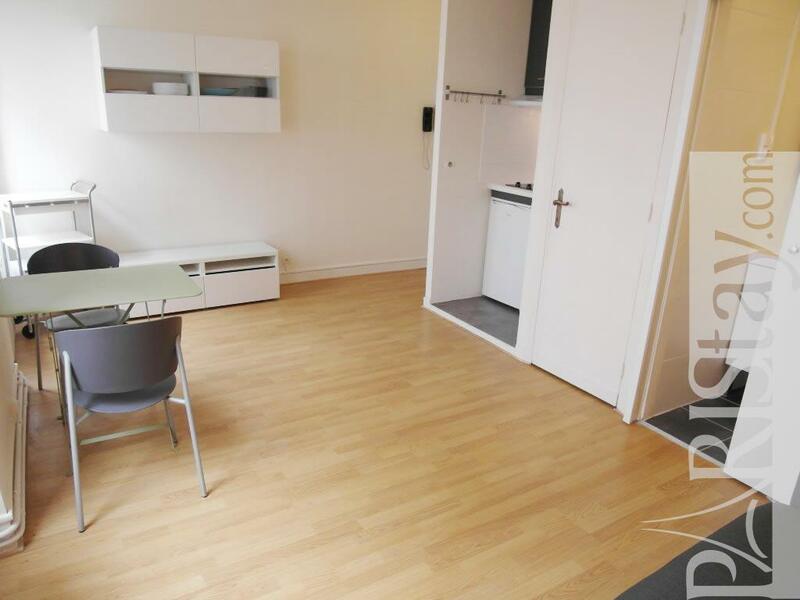 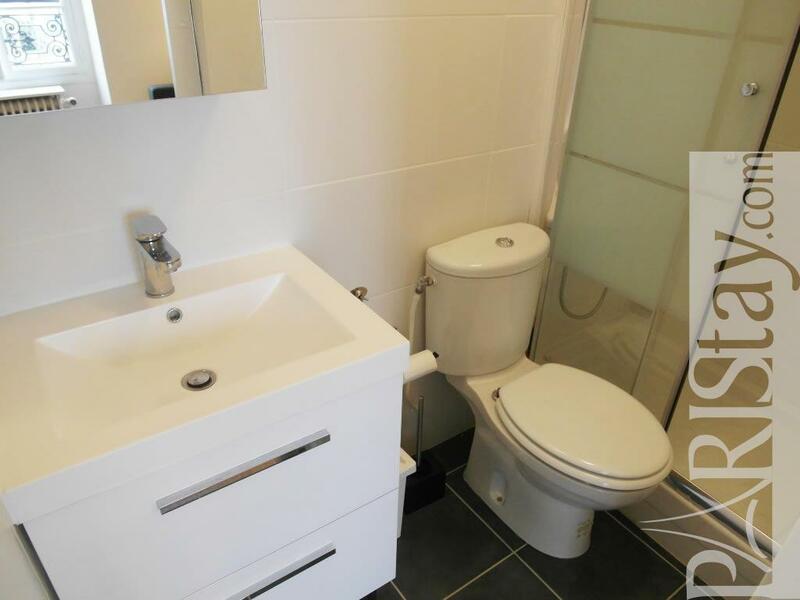 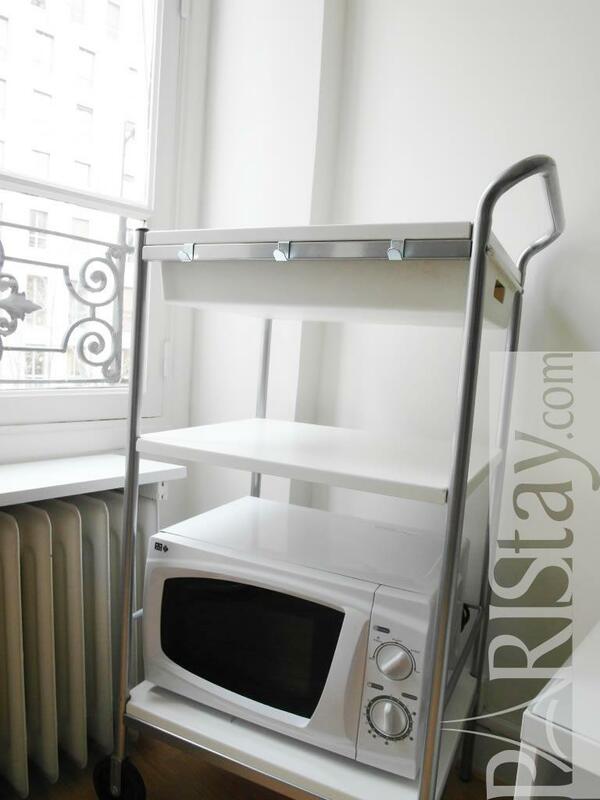 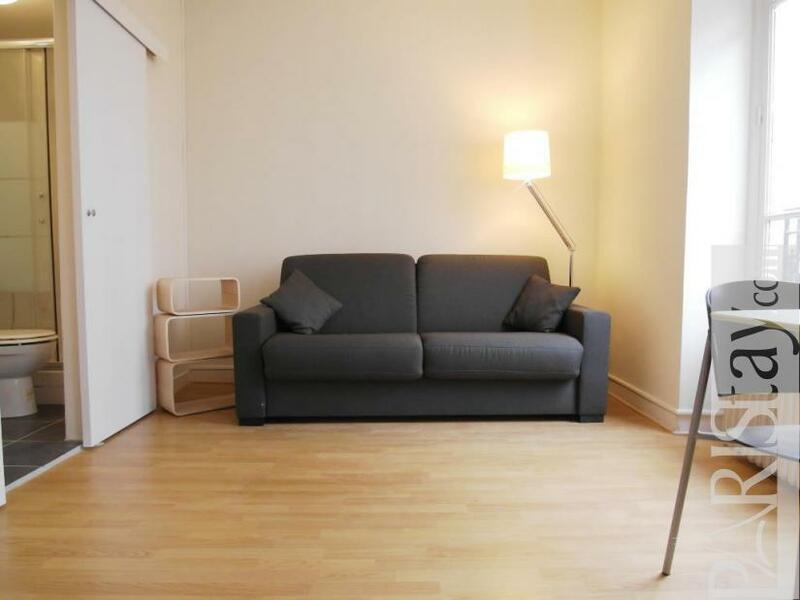 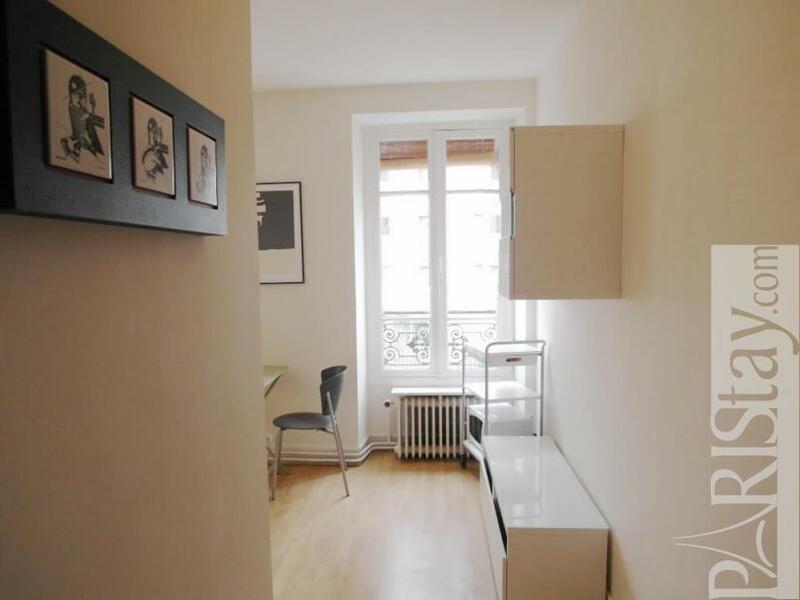 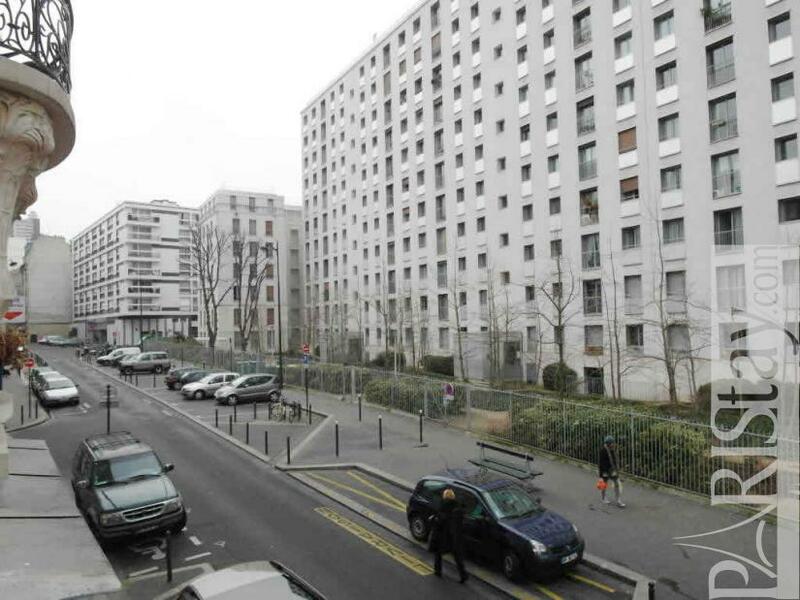 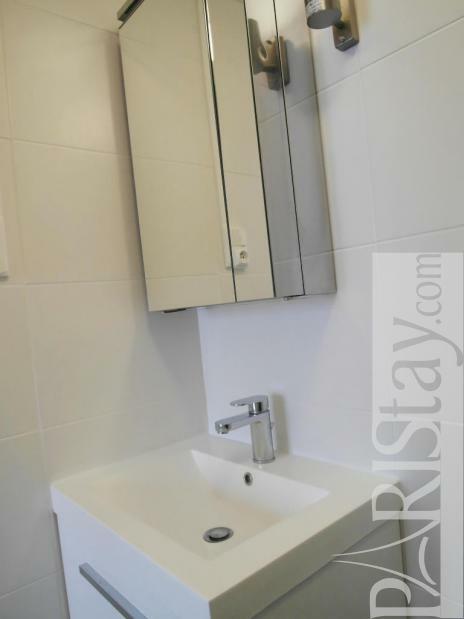 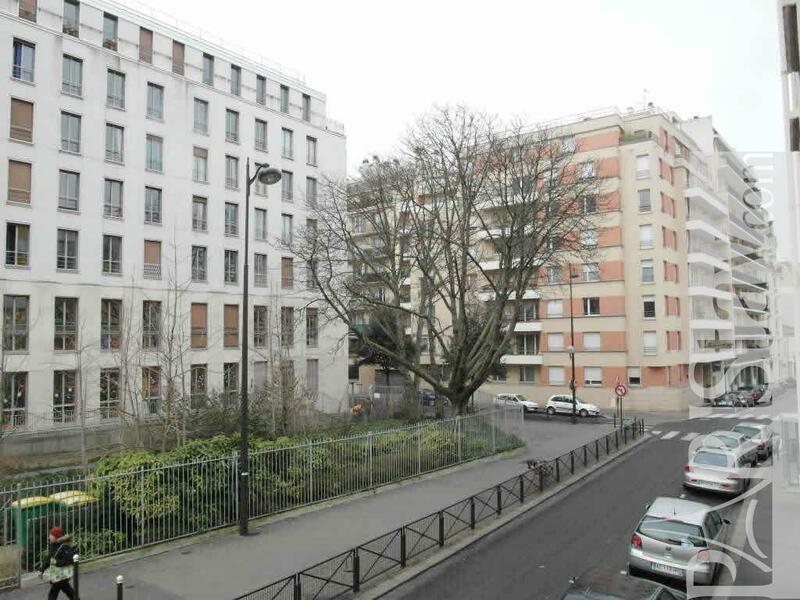 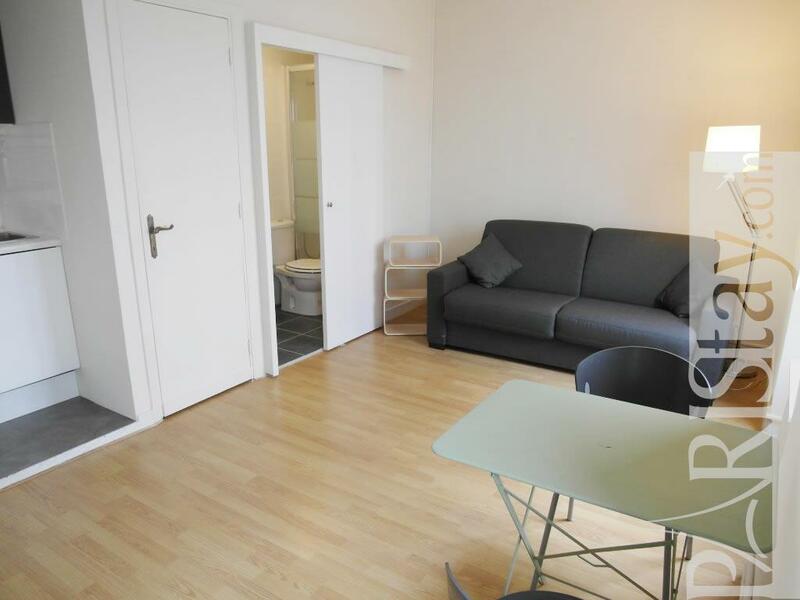 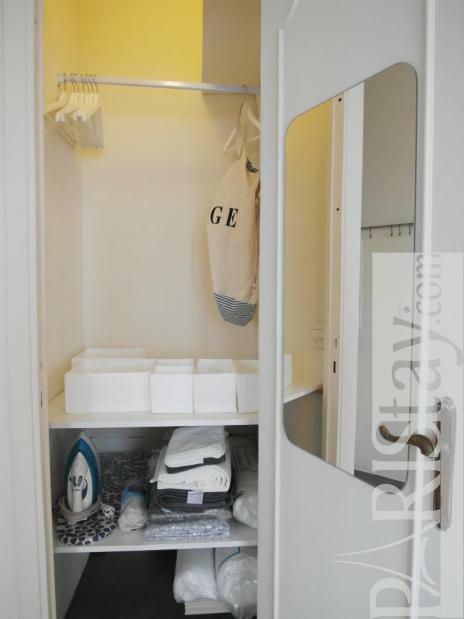 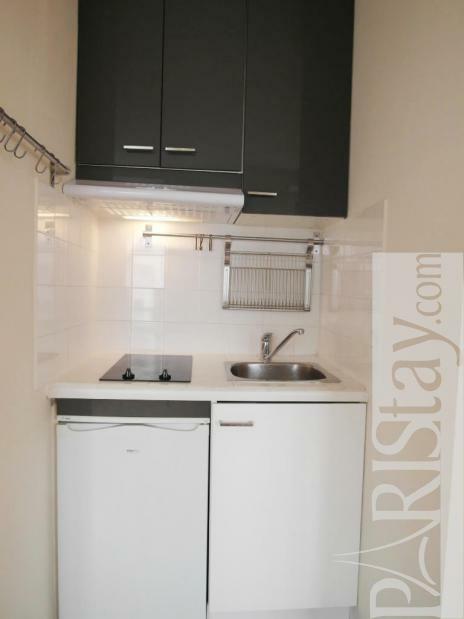 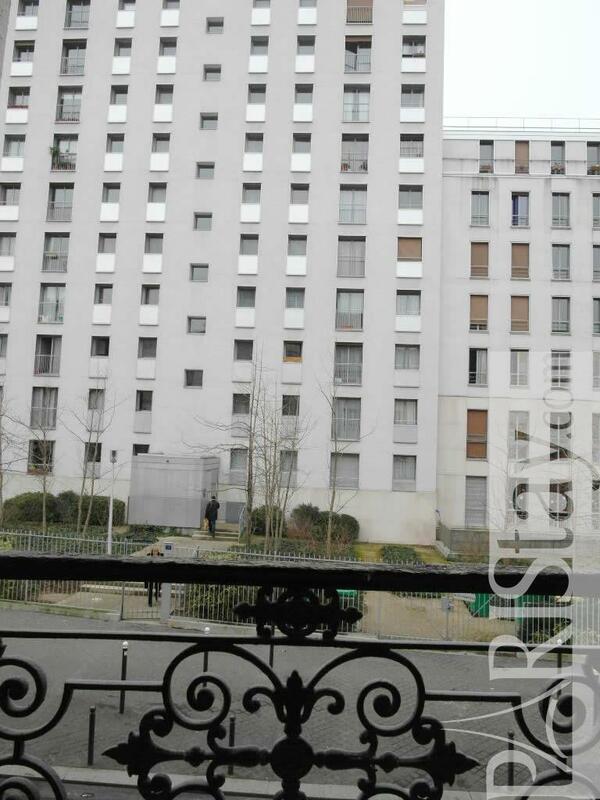 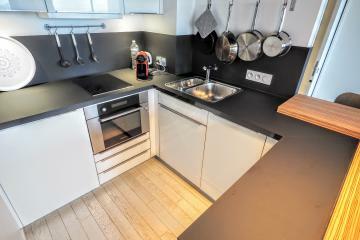 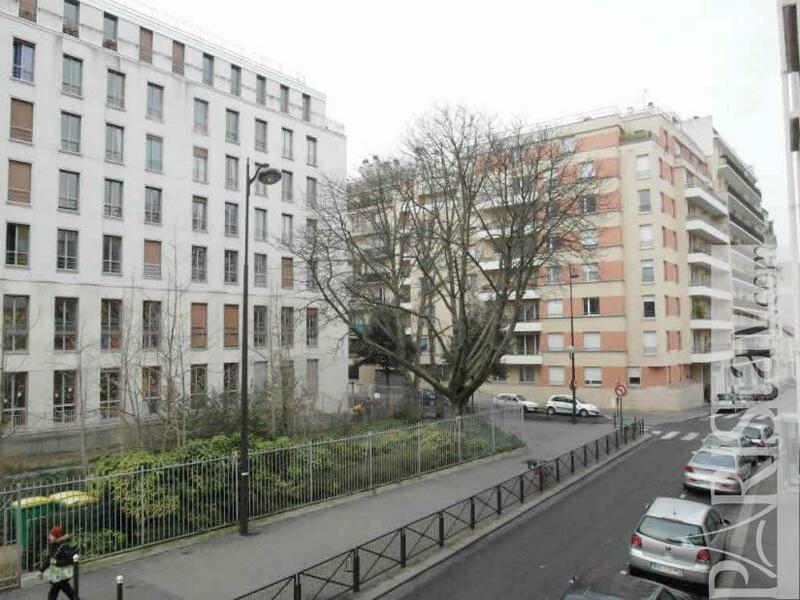 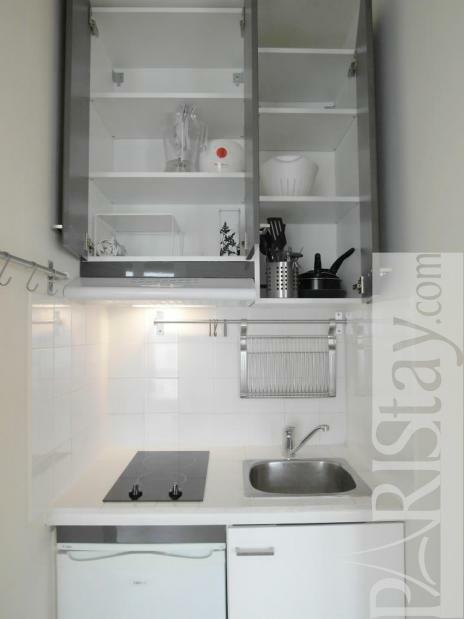 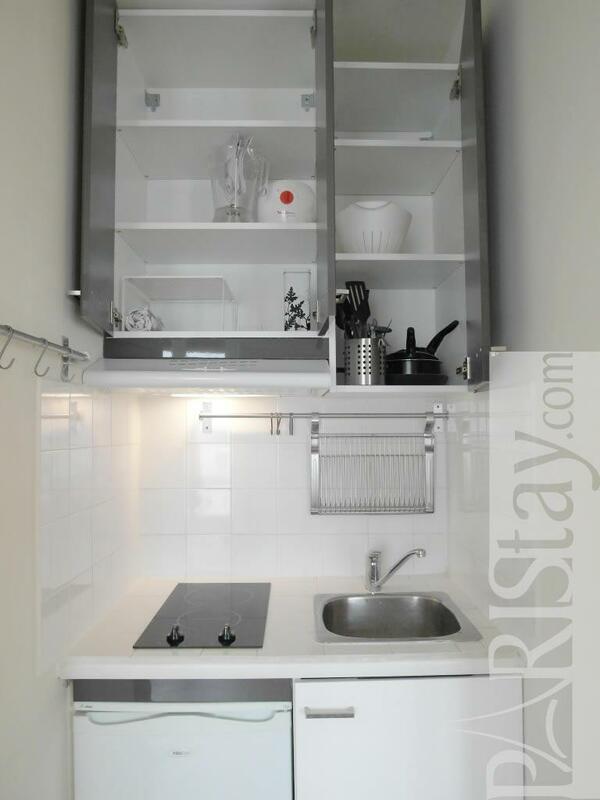 Fully equipped with an open kitchen it will be good for a long term Paris rental. 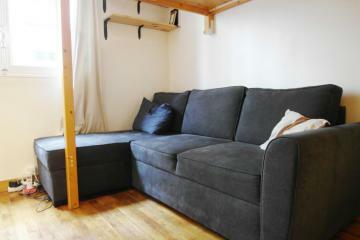 There is a comfortable sofa bed. 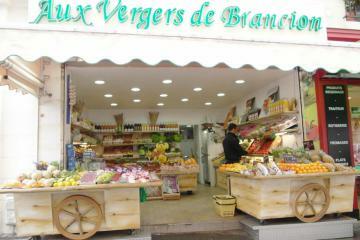 Bright it is practical as you can be in down town very quickly. 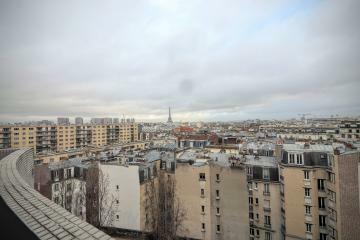 Located between the famous Eiffel Tower and the Montparnasse area they are numerous restaurants, cafes, shops ....nearby. 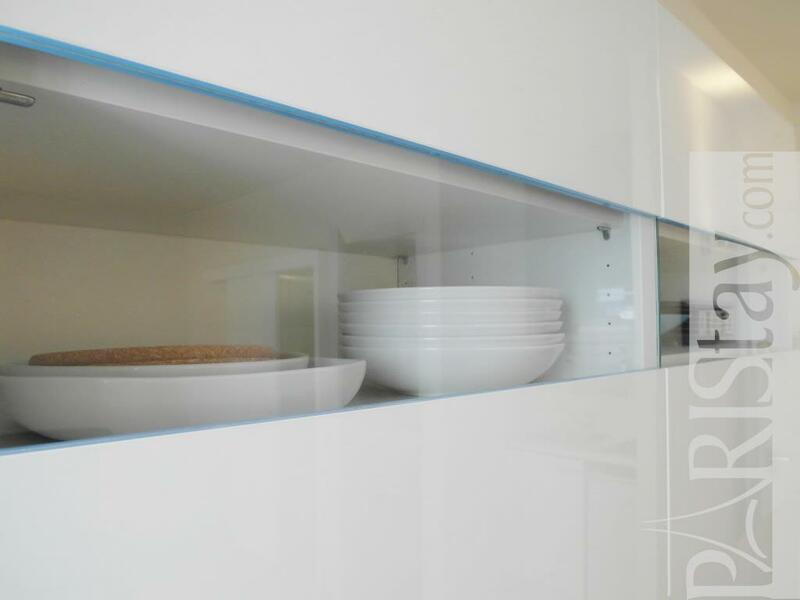 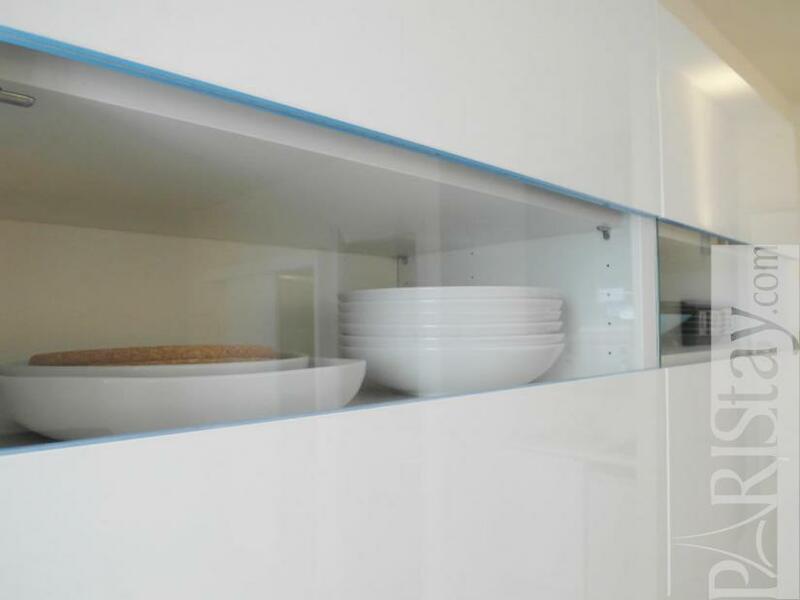 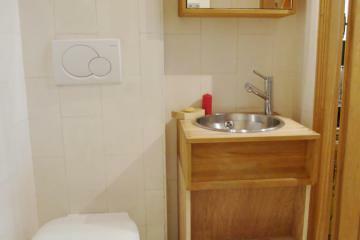 Le lavomatic se trouve juste en bas de l'immeuble voisin. Vraiment à coté. Il reste ouvert 7/7 jusqu'à 22 heures. 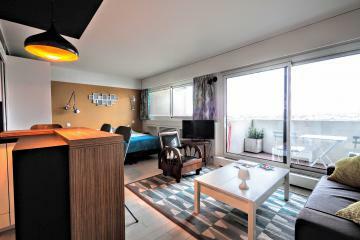 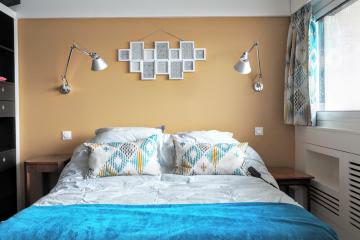 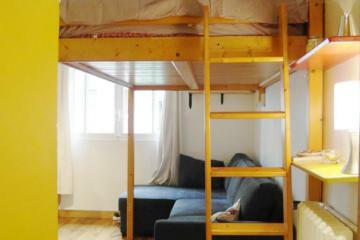 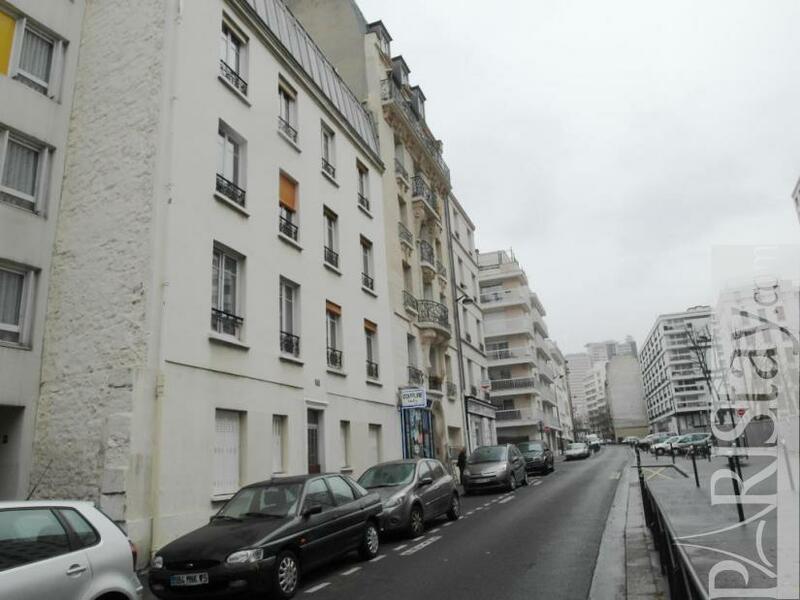 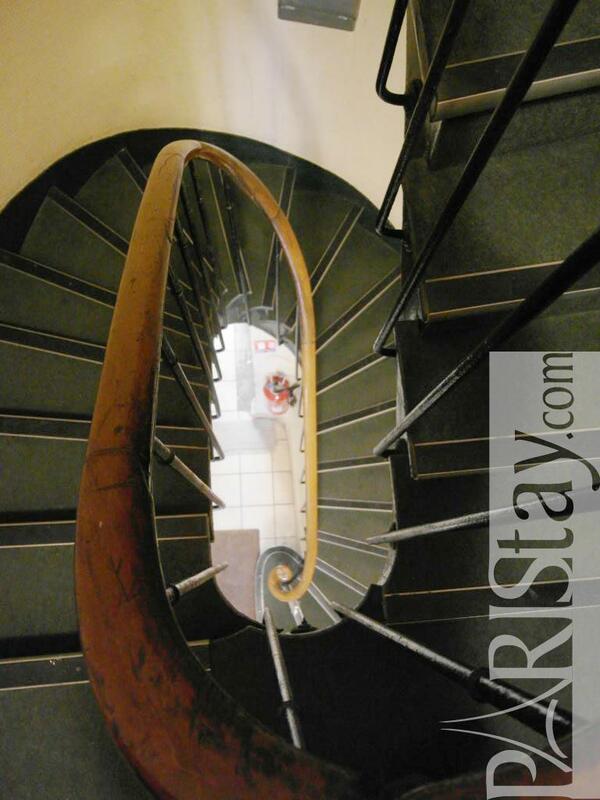 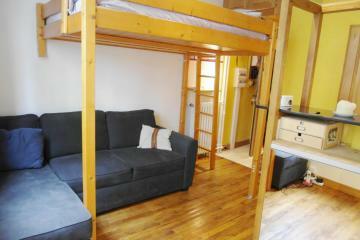 1910's Building, 1 st floor, without Lift, entry code security system, Studio Appartement, furnished, Approx: 20m² / 215 Sq.Ft.